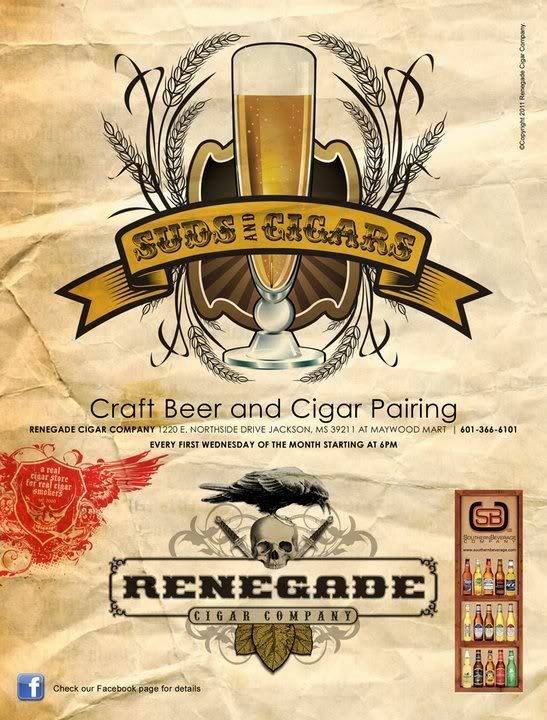 Craft beer event “Suds and Cigars” is now scheduled for the first Wednesday of each month. We have teamed up with Southern Beverage to bring some different kinds of beer to the table to some of you who may not have tried them. We also encourage you beer lovers out there to come teach us a few things. Southern Beverage company will be there with some Shock Top Raspberry Wheat & St. Benedict's Ale from Point Brewery! The cigar pairings will be posted in an upcoming message. There is no ticket price. Patrons are responsible for cigar purchases and beer. The event is open to adults only (21+). The Renegade Cigar Company is a smoking facility.